After the death of Ahmed Shah, his son Mehmood Begda become the king at very tender age. Mehmood Begda was a very powerful and brave king. He won many forts and palaces because of which he was known as Begda. At that time Muhammad Lodhi was the king of Delhi. Once a person came to his court and narrated him about Madavgad Village. With a boundary of 70 kms and surrounded by 12 small villages, it comes under the Dhar district of Madhya Pradesh. He narrated him about the king of that region. Tyrant, Rude and Cruel; built a gigantic idol at the centre of the village. Habitual of enslaving and killing people and appeasing that idol from their bloodshed. Fond of Black Magic, Tantrik Vidya, Witchcraft and Evil Spirits, believing in them that they could make him immortal. That person complained to Muhammad Lodhi and asked his help to get rid of the Tyrant king and save thousands of people from his clutches. Muhammad Lodhi said that Muhammad Begda is a very Brave king of Ahmedabad and he can surely win Madavgad and free all the people from his cluthes so Muhammad Lodhi sent a message to Mahmood Begda to help the people of Madavgad and attack Madavgad. When the complaint reached to king Mahmood Begda he was very angry and decided to Attack as soon as possible. He sent a message to Unava for Dost Muhammad (Father of Saiyed Ali) and asked him to come to Ahmedabad with 250 Horse riding soldiers. Twelve thousand soldiers got ready to attack Madavgad. The battle continued for several years but Mehmood Begda could not win over the fort. He attacked several times but in vain. Mehmood begda was very upset. He cried in front of ALLAH Subhana Taala and asked for His help and mercy. There after somebody said that in his army there is a person named Saiyed Ilmuddin and his Grandson is Saiyed Ali and Only Saiyed Ali can win this fort for the king. Their in Unava marriage preparation for Saiyed Ali who was just Eighteen years of Age were going on. As call for war came to his family they did not inform him. But somehow he came to know that he was called upon by his grandfather. He responded on the call of his grandfather Ilmuddin. He asked permission from his Brother and Mother to join his Grandfather in the battlefield. Initially his Mother hesitated to permit him as she knew the result but he convinced her saying I am Saiyed , Descendents of the Prophet Muhammad (Sallallahu Alaihi Wasallam) Aal -e- Rasool So you please heartedly allow me to join the battle as it is wish of ALLAH Subhana tala, I will Inshallh win this battle, At last permission was given. Saiyed Ali started to proceed toward the Battlefield on wish of ALLAH Subhana Taala, As he reached at the Pond of Unava he used Miswak and after that he burried that miswak near pond. Some people standing near by saw this and asked Saiyed Ali why he did so he said that if he is martyred in this battle of Madavgad it is this place where his body should be buried. People asked him that how will they come to know that he has been martyred. 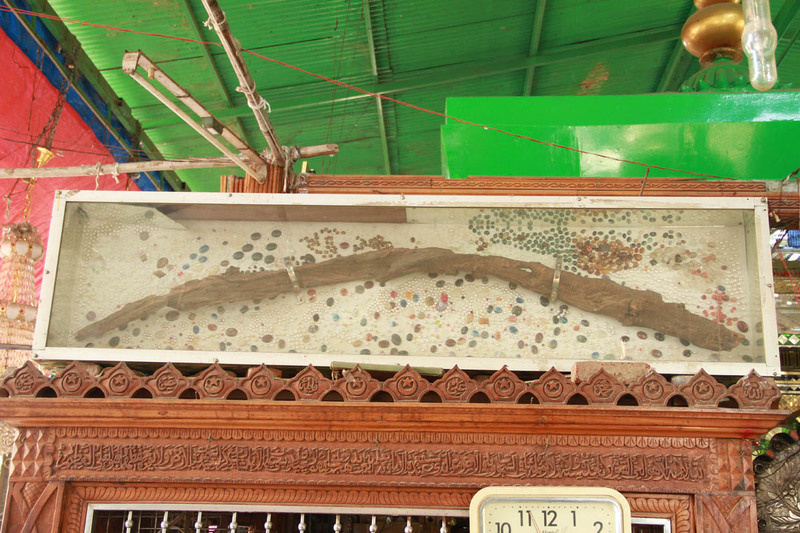 Saiyed Ali said the day when he will be martyred this small miswaak will become a big Miswaak Tree. After that Saiyed Ali Made wazu and pray to ALLAH Subhana Taala, after that he thought in his heart if I received Shahadat (to die in the way of ALLAH Subhana Taala) I should be burried here only. 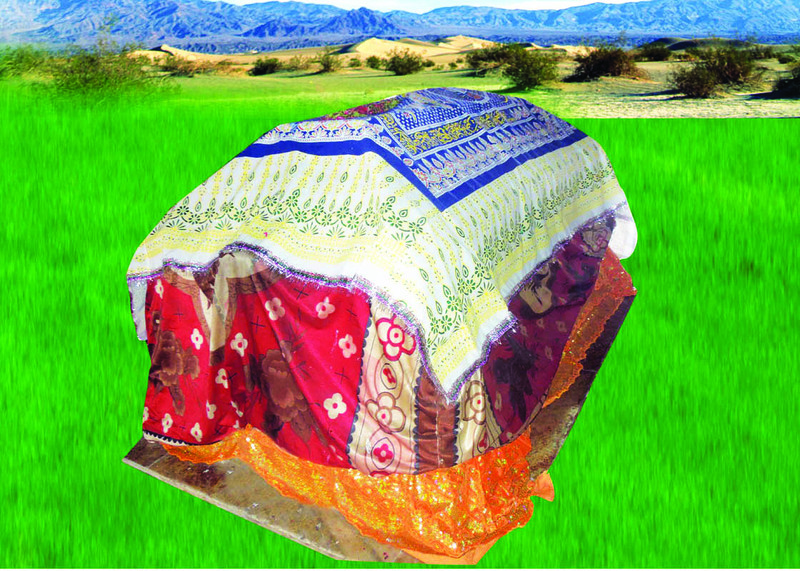 As he reached there he visited his grandfather, it was night time, there was a strong strom (aandhi) furious wind blowed everything, all the tents of army were carried away Except one in which Saiyed Ali was reading Quran with his grand father Ilmuddin seeing this miracle Mehmud Begda was convinced that Saiyed Ali has reached Madavgad and he is a sure Wali (Friend of ALLAH). Along with only one hundred twenty five soldiers he started his attack, there was a river on the way which miraculously gave him way and the reached Madavgad near Kokada Koh. He observed the fort of Madavgad. It was eighteen feet high, Saiyed Ali prayed to ALLAH and his horse jumped that height to reach inside the fort, the foot prints of horse are still available today. Once inside he made a tunnel from inside the Fort to help his army of One Hundred and twenty Five Soldiers to enter fort. On seeing face of SaIyed Ali many soldiers of the king were terrified and they ran away to King complaining that they are unable to fight Saiyed Ali. King was very furious on hearing this and he orderd to call all Magicians and Tantriks of his kingdom to join the war attackhing all at same a time. They tried their best but could not face of Saiyed Ali. There was a furious and intense war, everywhere was blood. Blood and injured….and corpses. Nothing could stop Saiyed Ali.